I have been working on a post for Australia Day for several weeks now. I’ve been writing about colonisation, intolerance of difference, denial, destruction, misuse of power and the dark history that I believe haunts our country to this day. And then I read some truly wonderful words by some amazing Australians who have expressed these sentiments so clearly that it leaves nothing else for me to say. My hope is that you might take a moment to read these wise words and that they might speak to you as they did to me. Firstly, Stan Grant is an Indigenous journalist well known in Australia. He recently spoke at The Ethics Centre IQ2 debate, ‘Racism is Destroying the Australian Dream’ as a member of the panel on the ‘For’ side of the debate. His short 8 minute speech has been heralded as one of the greatest and most moving speeches made in many years and has already had record numbers of views online. It has been a long time since I have witnessed such a powerfully moving, wise and authentic speech and I hope you will take a few minutes to watch. If you’re interested in watching the entire debate it’s also available. Secondly, John Pilger has long been one of my inspirations. This recent article, ‘Australia’s Day for Secrets, flags and Cowards’, published in New Matilda is a great example of his journalism. He makes the important point that “Among settler nations with indigenous populations, apart from a facile ‘apology’ in 2008, only Australia has refused to come to terms with the shame of its colonial past.” This is a brilliant article and I encourage you to read it – and if you haven’t yet seen John Pilger’s epic film, Utopia, then I suggest today is the day to watch it. Thirdly, in 2012 Indigenous poet Steve Oliver wrote a poem to mark Australia Day / Invasion Day, ‘Hate He Said’. This is an amazing poem and if you watch Steve read it himself you will feel even more moved I’m sure. And finally, where would the world be without the amazing Archie Roach. Please enjoy the wonderful Jamu Dreaming from one of Australia’s greatest storytellers. 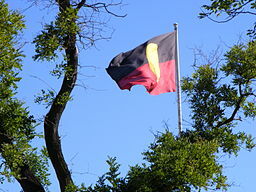 So with the greatest of respect for the traditional owners of this land and their elders past, present and emerging, I wish you all a peaceful day today and hope that together we might find a way of healing with respect and peace in our hearts.